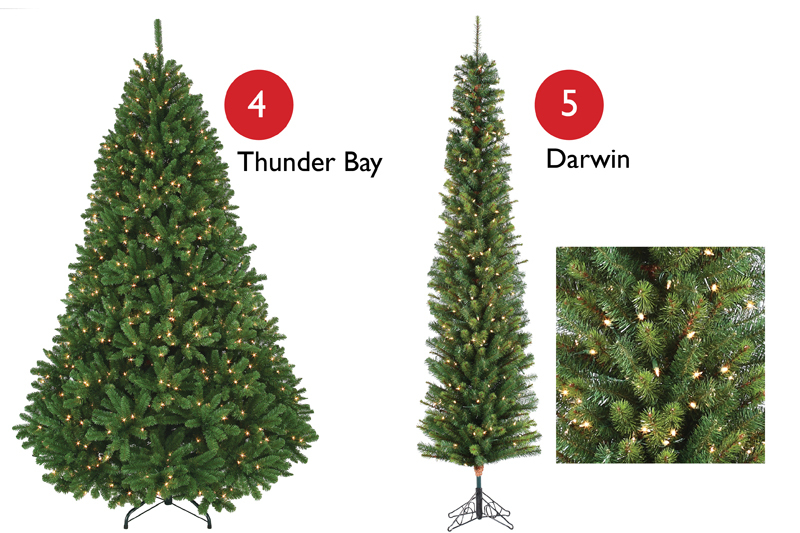 Looking for your perfect Artificial Christmas tree, but don’t know where to start? Out of over 200 styles and sizes, these top 10 trees made Prairie Gardens Bestseller list and may point you in the right direction. 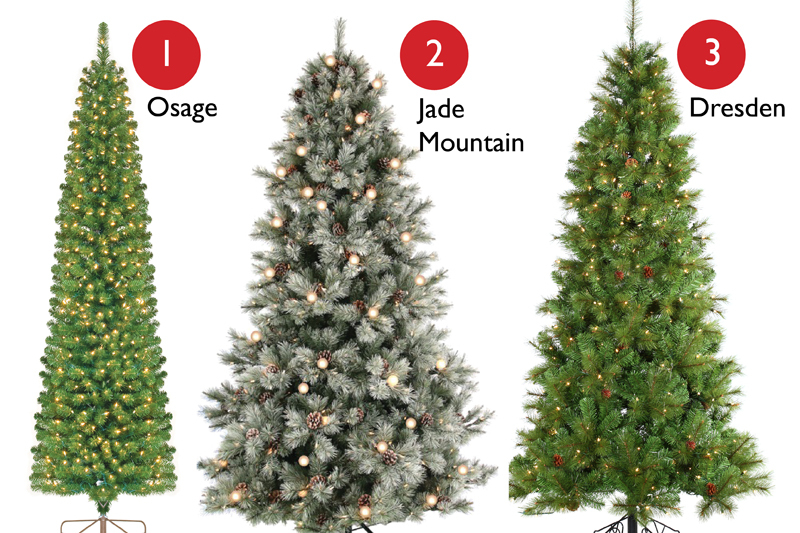 Other than being priced just right (save 50% off everyday), see what makes these trees so darn popular! It’s simply stunning with lightly frosted soft green needles and features large round G40 lights – all reasons why it has made our bestseller list ever year we’ve carried it. Slimmer in nature, this tree’s mixed needles are accented by natural pinecones for perfectly textured look. It’s super traditional, fat and full, and a rich evergreen color – everything you want a classic Christmas tree to be. 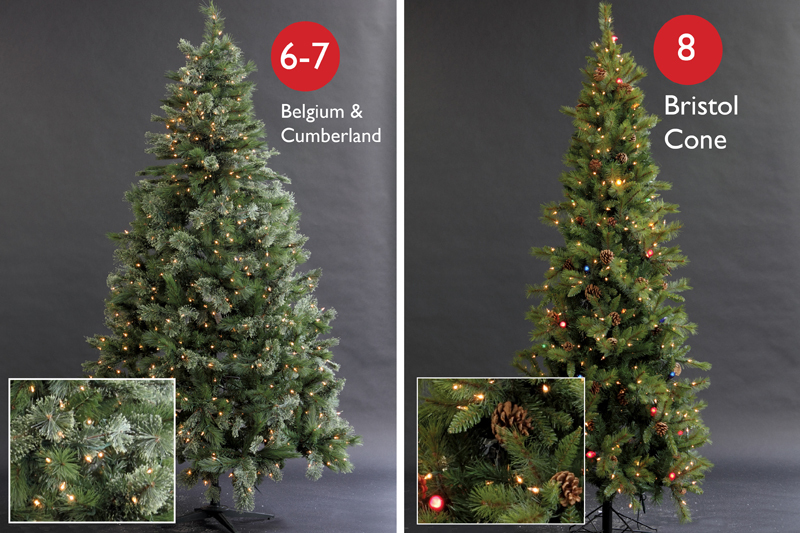 *Also check out our 7.5’ Dual LED Trees where you can choose either clear or multi lights. Another skinny style, this tree family has a mixture of dark green and light green needles for a realistic, textured look. We’re grouping these two families together since their styles are the same (the Belgium just has the additional of pinecones). The fact that they both made the list speaks to this style’s popularity. Both are fat full trees with soft cashmere cut needles in a green-gray color. What’s not to love? This slim tree’s mixture of traditional lights with C7 lights is what makes it a stand out – it simply glows. Plus, its variety of needle colors and pinecones give off an irresistible woodland vibe. Very slim, but not pencil thin, this tree’s mix of PE and PVC needles creates a realistic look many are fond of. This tree is enjoyed for being slim, but not too slim and for its traditional style and medium blue-green coloring. Don’t see your perfect match? Have no fear! There’s over 200 other styles and sizes to choose from at Prairie Gardens. 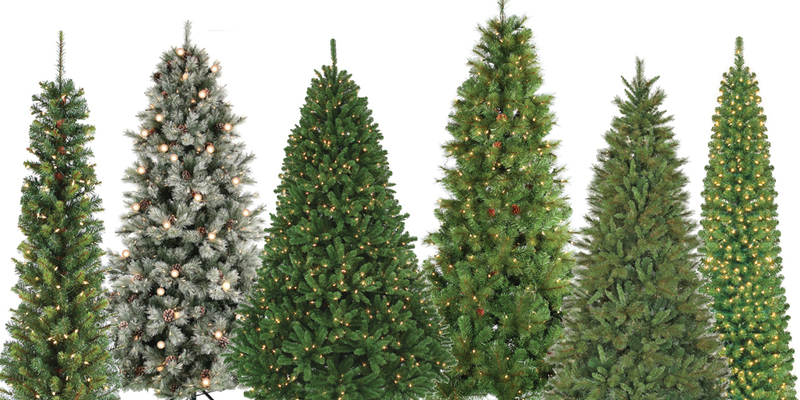 Visit our Tree Experts, they’ll help you find your perfect Artificial Christmas Tree.